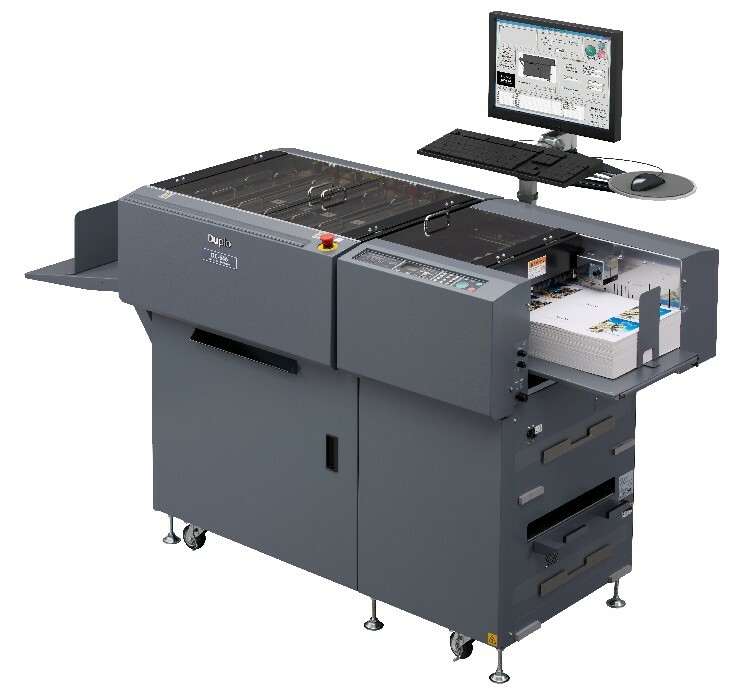 The DC-646 eliminates white borders and prevents toner cracking on fold lines up to 30 sheets per minute and also offers optional rotary tool and cross perforating modules, both with strike-perforating capabilities, for increased versatility. 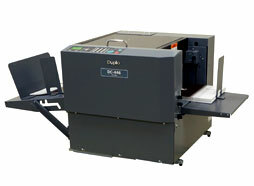 With the DC-646, users can produce 21-up business cards on SRA3 paper size, slit-score greeting cards, micro-perforated coupons, direct mailers with tear-away cards, and much more. 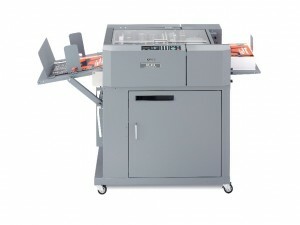 The DC-646 comes built-in with a CCD scanner, enabling it to recall any job stored in memory simply by reading the printed barcode and automatically setting up the job. The scanner also reads registration marks, correcting the sheet-by-sheet image shift and delivering accurately finished pieces every time. Barcodes and registration marks can be easily applied with the EFI Fiery Command Workstation impose tool (Fiery System 10 or newer).